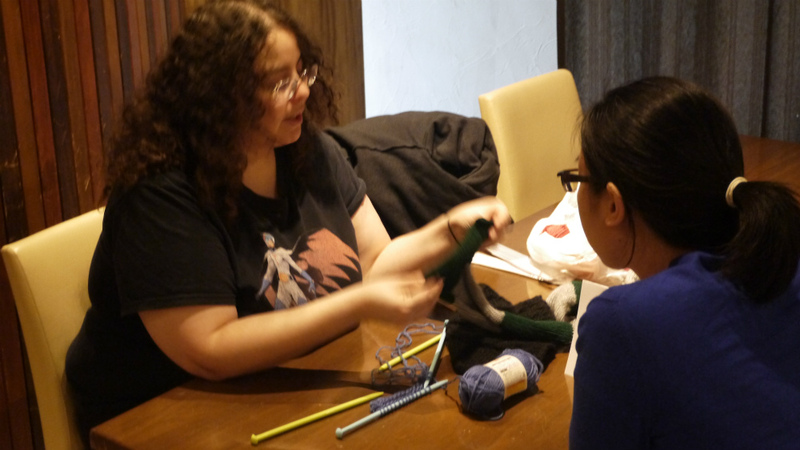 Home / Learn to Knit! Want to learn to knit but don't know where to start? Already know basic knitting? But want to learn new methods of knitting? Best of all it doesn't take much to get started! Daiso and other 100 yen shops sell needles and yarn which are perfect if you don't want to spend too much money when simply practicing! Feel free to message if you have any questions! Also feel free to contact me if you want to meet in a specific area other than what is listed! In this rental, you can learn anything from basic knitting to high level complicated knitting methods based on your current knitting ability. Knitting is a popular hobby, because it doesn't need a lot of money to get started and it’s very nice to be able to use something you made in your normal life. Once you have the concept of what you are knitting, you can talk while you knit so it’s also recommended for those who like talking.